Coach Today for Future Success by Snow Magazine – CSB Contractors, Inc. While it’s taken nearly a quarter century for George Stoll to let go, he’s finally at a stage where he feels comfortable giving his employees more responsibility. The owner/operator of George Stoll Construction has provided all phases of snow removal service—from basic snowplowing to salting, sanding, and liquid de-icing—for commercial properties in the Empire State’s Rockland, Orange, Putnam, Westchester and Dutchess counties for more than 25 years. In the wintertime, he employs approximately 60 employees; he carries more staff for the construction side of his business that operates year-round. During the winter, Stoll hires existing business owners who run their own seasonal businesses outside the snow removal industry. “They know what it’s like to run employees and when equipment goes down that they can’t stay there,” he explains. “By doing this, I eliminate a lot of the ‘nonsense’ of the responsibility factor. I have a couple of key guys that I grew up with that I hire and I pay them very well. Having incentives such as this helps motivate these employees and also makes them better leaders. When it comes to motivating his staff and grooming effective leaders, Scott Zorno, co-owner and operator of Care Enterprises Snow (based in the Colorado highlands) believes in the management theory of coaching and mentoring. The rewards are endless, he says. The entrepreneur has been in business for 36 years, having started his small business while a university student. He employs two full-time staff and six subcontractors. While a small family-run operation, he still does some leadership development. Zorno says it’s important to give employees responsibility, but don’t just give it to them, coach them. “Give them more information about your relationship with the customer and more information about the nuances of the job and problems to watch out for,” he explains. 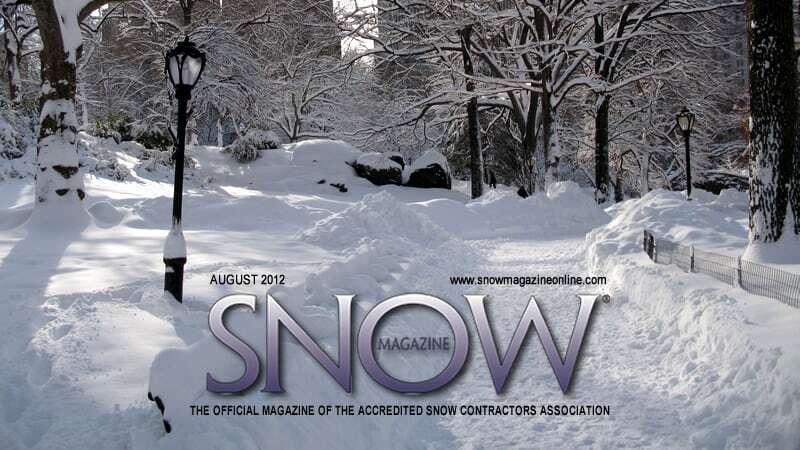 The Certified Snow Professional also treats his subcontractors like full-time employees. He admits one of this site leads is a sub and while there was a real learning curve initially, but once he coached him, the transformation in his confidence and leadership level was amazing. “The business model that he was working from historically before he came to work for me was so much different than the one that I work to that it created all kinds of hassles and heartache initially, but we got through it,” Zorno explains. “I knew he had the skill and I knew that he was a team lead in his normal job, so I wanted to give him one more chance, but knew I had to coach the crud out of him. As Zorno touches on, sometimes the biggest tool you can give your employees to make them more effective leaders is information. It’s not necessarily the technical skills. “I’ve got another guy that I’ve put on a route in a very upscale residential neighborhood,” says Zorno. “I wasn’t worried about his technical skills, but I took him with me when we went out and marked the driveways and introduced him to the customers, so they could go, ‘older fellow with grey beard driving a truck, that’s one of Scott’s people.’ It helped a lot to cement my belief in him and my expectation of him to feel free to have a relationship with these people.